McMaster Maurauder, Kristian Ferreira is a leader on the soccer field, on the campus and in the community. 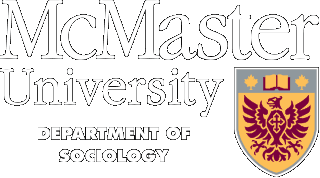 McMaster Sociologists nominated for the YWCA Hamilton Woman of Distinction Awards. Associate Professor Dr. Tina Fetner from the Department of Sociology has been elected president of the Canadian Sociological Association. Congratulations to Dr. Paul Glavin, whose research was successfully funded by the SSHRC Insight Development program.